Bed-Stuy vicinity. 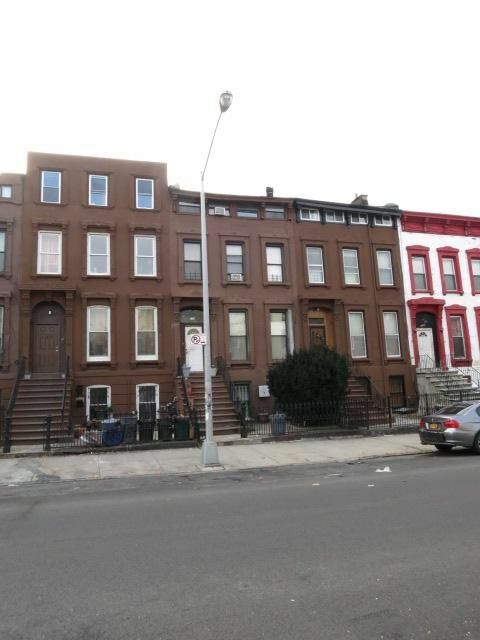 3 family brownstone with excellent details. 3 bedroom duplex for owner plus 2 large 2 bedroom rental units. 2 vacancies. Close to B38, B48, B54 buses and G, M, J, Z trains. Will not last. $1,549,000. For appointment, please call H.P. Greenfield at 718-338-3380.